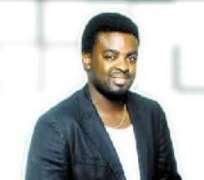 Kunle Afolayan is a guy one reckons with in the entertainment industry. Over the years, he has not only proved to be a very good actor and filmmaker but has continue to live the legecy his late father Adeyem i Afolayan(aka Ade-love) left behnd! Saying he is the chip of the old block is definitely very true because he has acting and flmmaking running through his vein. He was born 30 of September in the mid 70' to the Late Adeyemi Afolayan(aka Ade-love). He attended Afican salem primary school ebute meta, did his secondary education in Denton grammar school and Government secondary school Agbamu Kwara state, he then proceded to Lagos state polytechnic. He started his career in acting by featuring in Manframe production feature titled SAWORO-IDE in 1998 which is the film that brought him to limelight.